Jordan's office announced that he was no longer standing in the Republican position on the committee after a spokesman for his office had told CNN that it was clear to Jordan that leaders would choose someone else for the position. Two other candidates – Steve Chabot, representative of Ohio, and Doug Collins, representative of Georgia – were already in the running. The news comes just days after Jordan announced his interest in running, leaving the steering committee members, who determines the leadership and composition of each committee, scratching their heads. 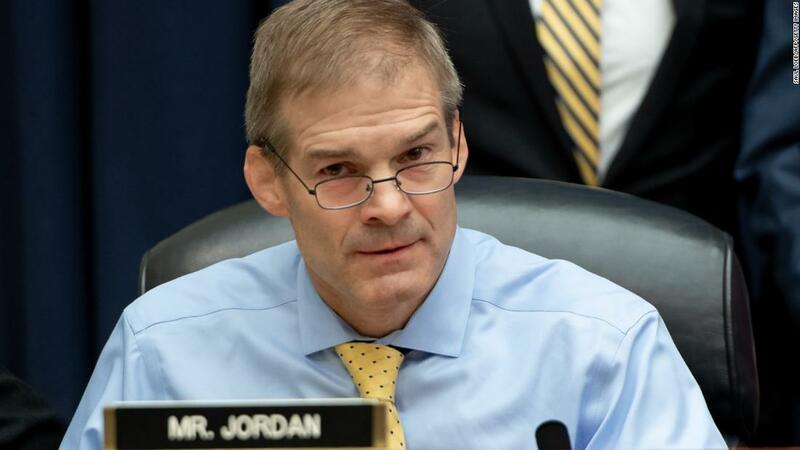 Jordan had long been considered a potential candidate for the position of senior member of the House Oversight Committee and Government Reform where he had the seniority. Seniority does not guarantee that Jordan would have been selected for the position, but that is a factor for the steering committee. A person familiar with the process stated that it was up to the steering committee to decide who would be the first member of each committee. Now, the question is whether Mark Meadows, his colleague and leader of the House Freedom Caucus, will continue to seek the position of senior government oversight and reform or if he will step down and Jordan will show up. Before the news, Meadows had warned reporters that the reshuffle of the GOP committee's leadership was "fluid". The judicial and oversight committees of the House should be in the spotlight at the next Congress, when Democrats will take the gavels and begin their rigorous oversight of the Trump administration. In recent days, a congressional source confirmed that there had been discussions between the chair and members on leadership dynamics and committee roles. Before Thanksgiving, CNN reported that in private conversations with McCarthy, the president had asked Jordan and Meadows to be among the top Republican positions on key committees, according to a nearby source.